Morning Trip is a new imprint under Telephone Explosion dedicated to releasing ambient, experimental and generally optimistic sounds. Originally released on cassette in 1986, Celestial Realms is a collaborative album from New Age gurehead and Brian Eno-collaborator Laraaji, and fellow cosmic traveller Jonathan Goldman (aka Lyghte). 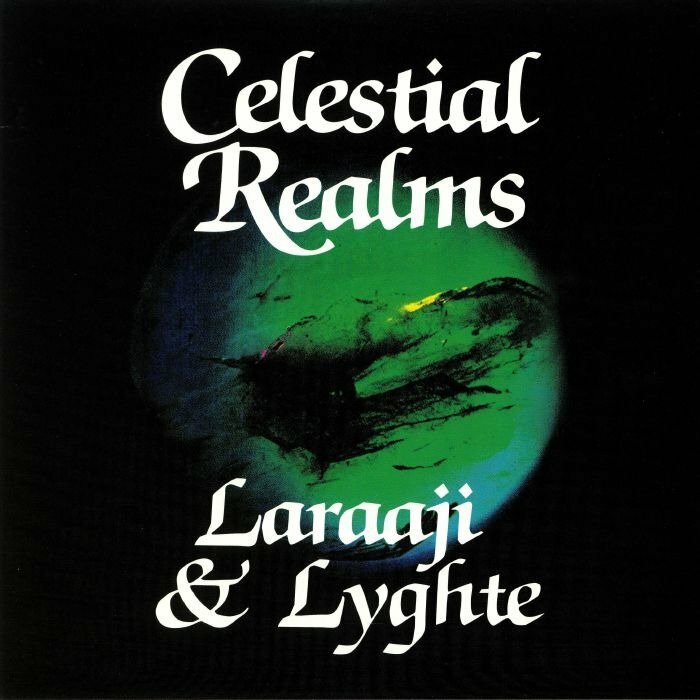 Laraaji conjures his typically vivid soundworld of shimmering electric zither, while Goldman inhabits that world with pulsing guitar and droning synthesizer. 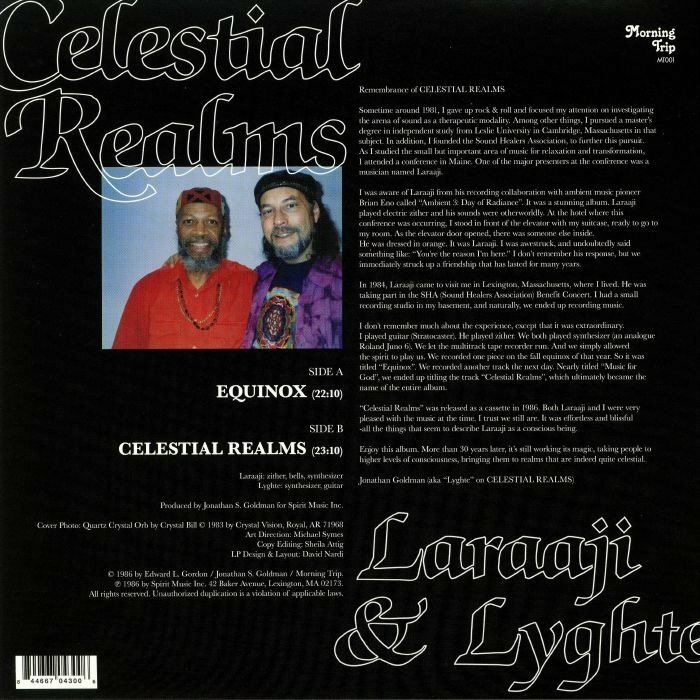 Celestial Realms provides a 46 minute blissful ambient voyage featuring zither, bells, synthesizer, and guitar. Recommended if you like: Brian Eno, Hiroshi Yoshimura and Steve Roach.